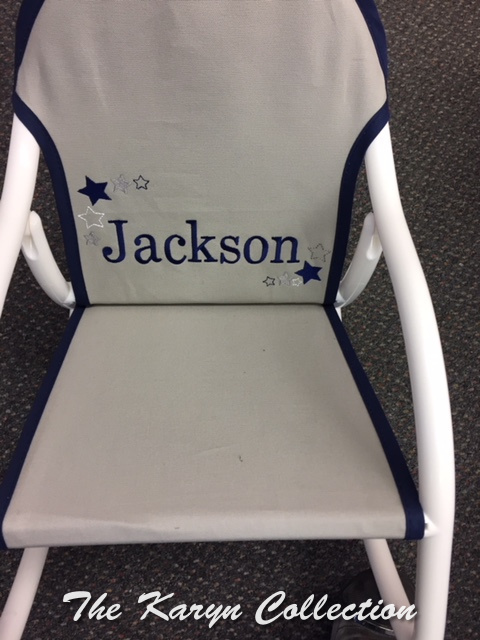 This gray canvass rocker trimmed in navy has been very popular since being introduced in February, 2018. Great for boys with gray/blue nurseries that may not be into sports. We call this our shadow-star design and can do it in just about any 3 colors you may want. Ships in 4-6 weeks, always gift wrapped.